A lemur in Madagascar. Photo by Frank Vassen. They say that the fourth largest island in the world, carelessly strewn off the coast of Africa in the Indian Ocean, is an adventure of a different kind. Madagascar has been geographically isolated from the rest of the world for so long, that 90% of its flora and fauna, and many of its animal species are found nowhere else in the world; unfortunately like everywhere else in the world, its ecology has been irreversibly damaged by human activity. It’s culture is an eclectic mix of Indonesia and Africa, and its kaleidoscopic landscapes transform from rainforest to desert to coastal in no time. Getting there directly from India is expensive, and it is much more economical to club it with its more popular neighbor, Mauritius; both Air Mauritius and Air Madagascar have frequent flights from Mauritius to Madagascar, while a ferry is a 3-4 nights affair. Madagascar is the reason I’ll go back to this part of the Indian Ocean. Indians can obtain a thirty-day visa free of charge at the Antananarivo airport, Madagascar’s primary international airport. Hong Kong harbor. Photo by Herry Lawford. I visited Hong Kong in the winter of 2008, and remember thinking of it as Singapore with mountains. The entire city shone with Christmas lights and Christmas sales, and while Singapore, where I lived at the time, is a shopping haven, Hong Kong’s shopping streets had the vibe that you’d anticipate in an American city from the TV shows. Its part British-part Chinese ambiance takes some getting used to, with plenty of pretty awesome rooftop bars and cafes to ease you in. I remember hiking in its wilderness to a vantage point that overlooked its two islands and the South China Sea in between. If its hi-tech 21st century attraction and its mountains are not compelling enough reasons to visit, the pristine beaches along its outlying islands and its proximity to Macau, Asia’s own Vegas, sure are. Cathay Pacific runs frequent direct flights to Hong Kong. A fourteen-day entry stamp is free of charge at Hong Kong airport. Tiger’s Nest in Bhutan. Photo by Goran. The “last Shangri La” comes with a price tag of US$200 per day for most of the world but us, and for once in our lives, our infamous Indian passport evokes a sense of jealousy. This Himalayan kingdom has been associated with an other-worldly enigma, culturally, spiritually, and pictorially; what else can you expect when Gross National Happiness is the country’s benchmark to progress? I almost planned a trip here this June, and spent many a night dreaming of its untrodden trails and its fascinating festivals, in one of which, called The Takin Festival, the locals gather together to observe the Gasa, Bhutan’s national animal, in the wild! (Then Turkey happened and Bhutan went on the back-burner). The Land of the Thunder Dragon can be approached over land via Siliguri, or by a flight on Druk Air to Paro’s international airport. Indian passport holders don’t need a visa to enter Phuentsholing, a Bhutanese town on the Indian border. To travel further in Bhutan, a travel permit can be obtained here or in Thimpu. Wadi Rum in Jordan. Photo by Salim Al-Harthy. The vast red nothingness of Wadi Rum, the lifelessness of the Dead Sea, and the ecstasy that is the Middle East, beckon the culture vulture with open arms. The land of the mezze, Jordan is a stable recluse amid its more vulnerable neighbors, and yet no less on nomadic desert adventures and the infectious Arabic hospitality, or so they say; I’m yet to go. Royal Jordanian flies direct from India to the Hashemite Kingdom of Jordan. Visa on arrival is available in Jordan for Indians and costs US$30 for a single entry visa. If you enter and exit Jordan from Aqaba, along the Red Sea, no visa is required for a one month stay. 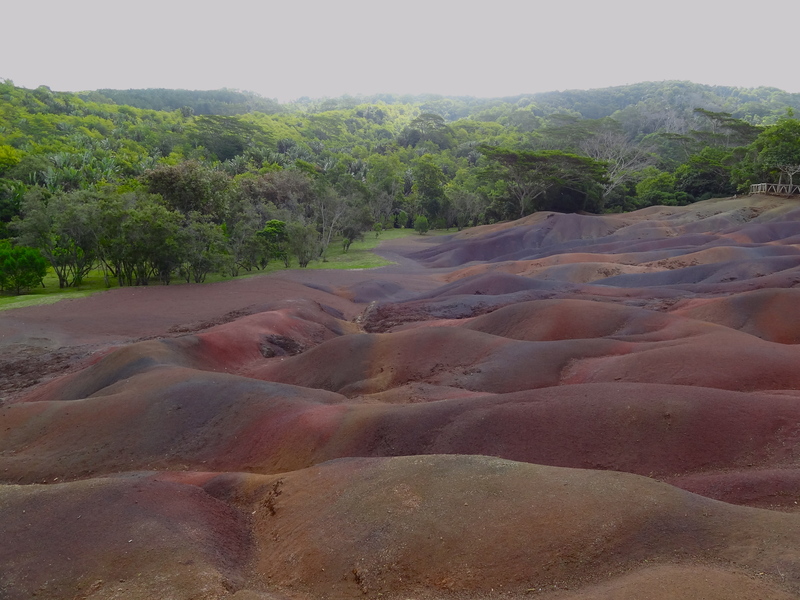 Seven colored earth at Chamarel in Mauritius. This little postcard in the Indian Ocean is hardly off anyone’s radar in India, and although pimped as a honeymooning paradise, it packs enough within its coastlines for all kinds of holiday makers. The sugarcane fields in its interiors change color from green to brown to red through the year, while the waters by its shores change shades of blue all day. Whether to experiment with your adventurous side, take your photographic lens on a spin or to indulge in the unique French-Indian culture and cuisine of the island, Mauritius has no dearth of excuses to visit. Air Mauritius and Air India fly direct from India to Mauritius. 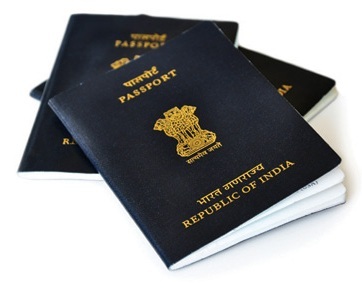 Indian passport holders are granted visa on arrival in Mauritius for upto 60 days. Mount Bromo in East Java, Indonesia. Photo by Prayoga D. Widyanto. One of my favorite countries in Southeast Asia, Indonesia is full of surprises. One of my earliest travel adventures took shape in its interiors, near an obscure Indonesian city called Manado, where the island of Bunaken and the active volcano of Tomohon (it recently erupted) were mystical experiences that are best not written about it! Of course, there is the tropical island paradise of Bali with its golden beaches, volcanoes to climb at midnight, and a pretty intriguing showcase of Hindu culture. There is also that feeling of being a millionaire, thanks to a devalued currency. Jet, Thai, Malaysia and Singapore Airlines all fly direct to Bali from India, though it might work out cheaper to fly Indigo to Singapore and a low cost carrier like Lion Airways to Bali. On an Indian passport, you can get a 10-day visa on arrival for US$10 and 30-day visa on arrival for Indonesia, for US$25. Just across the border, the Nepalese Himalayas lie in wait for the mountain lover; mighty snow-capped Himalayas, Himalayas encased in ancient legend and folklore, Himalayas home to mountain villages similar to those in their Indian half, and yet different in their way of life, their customs and their cuisine. The enchanting wilderness culminates in the tallest peak in the world, and with the advances of the aviation sector, you don’t need to be a climbing junkie or a pro-mountaineer to get up-close with it. Buses via Siliguri and a passenger train via the town of Raxaul in Bihar ply into the Nepal border. Indigo, SpiceJet, Air India and Jet have frequent connections to Kathmandu. Single entry visa on arrival is granted to Indian citizens for upto 150 days in Nepal. Koh Lanta island in Thailand. Photo by Darren Johnson. The backpacking haunt on the shores of the South China Sea, Thailand is a treat for every budget. The sparkling white beaches in the north of the country are adorned with shacks, seven-star resorts and everything in between. There is partying till dawn, there are spiritual retreats, Buddhism is everyday life, and the cuisine is just spicy enough for the Indian palette. Thailand is the kind of holiday you don’t need to think twice about. Indigo offers the cheapest way to fly to Bangkok from India. Indians can obtain visa on arrival in Thailand for a stay of 15-30 days. UPDATE (27 Dec 2012): As per Bangkok Post, Indians now only need a single visa to visit both Thailand and Cambodia. The article states that this visa must be applied for at the embassy of either country. A glimpse of Antarctica. Photo by Vassil Tzvetanov. Isolated and inaccessible as it may seem, Antarctica is owned by no one country and has almost no human habitation, making visas inapplicable. You do however need a permit to enter, visas for destinations enroute that you stop at, and a handsome budget. Many of us will only visit Antarctica virtually, gawking at the glistening white landscapes in pictures, and reading stories of human adventures in the greatest wilderness of the entire planet. (Adventures that are also unfortunately destroying the delicate ecology of this, no country for humans). Then again, no one knows where destiny may take us tomorrow; it is good to know that no visa forms must be dealt with, isn’t it? Someone on Twitter pointed me to this collection of countries that offer visa on arrival for Indians, and while it looks like a little treasure at first glance, it is complicated. For instance, Ashray of Backpack Me managed to get a visa on arrival in Ecuador only by showing his US visa. And as per the Kenyan embassy website, Indians need to apply for a visa before arrival in Kenya. Countries like Sri Lanka, Turkey, Vietnam and Cambodia now offer e-visa for Indians. Apply online to get your e-visa quickly! Note: The information listed here is based on personal experiences, those of people I know or the embassy websites. It is best to check with the embassy for updates before you travel. To ensure a smooth VOA process, please carry a copy of your return tickets or itinerary, a valid passport, and a copy of your bank statements. Have you travelled to any of these countries, or anywhere else that visa on arrival is easy to obtain on an Indian passport? Join The Shooting Star on Facebook and Twitter for more travel lists and inspiration. Thanks for your reply. Can you make me a details for same on my email i.e. gloabtel@hotmail.com will be most appreciated. I am american business visa (B1). Which are the countries that offer visa on arrival ? If it is u have Singapore visa, you will get visa on arrival in Philippine…. Thanks Jimmy, think that’s the same link I shared in the “where else” section. Above is the link country provide visa on arrival its 31 Countries…. Cambodia. And if am not too wrong, Macau also. Macau yes. Cambodia needs an e-travel permit before travelling, like Sri Lanka, atleast it did when I went. There was no requirement for an e-travel permit when I visited last December. We reached Siem Reap. It is possible, Phnom Penh has certain requirements, highly unlikely though. Also, for Indonesia the rates are changed to USD 10 for one week. Visited Bintan recently.The USD 25 was until last year. Think e-permit is optional (most agents recommend it I think). Traveled with VOA in Dec 2010. And know someone who did the same in Dec 2011.
tHanks Shivyaa for sharing this..:)..REally helpful when u want to embark on those unplanned improptu journey…:D..
Good post. There are some more countries – Sri Lanka for example. Also Malaysia. Malaysia stopped its VOA for Indians more than a year back, and even then, it was much more expensive than getting it in advance. Sri Lanka now has an e-travel authorization requirement that you need to apply for before travelling. Kenya has visa-on-arrival. At least till 3 months back (used it myself). So does Sri Lanka (a friend visited last weekend!). Ah, according to the Kenyan embassy website, Indians need to apply for a visa before travelling. Not sure if that’s outdated info or recently changed. Sri Lanka’s embassy website says you need to apply for an e-travel permit before travelling. Did your friend have to? Travelled to Kenya in 2009 and bought a visa at Mombasa Airport for 25 dollars. Know someone who travelled last week and bought a visa at Nairobi Airport. Kenya/Uganda /Tanzania /Rwanda /Burendi /South Sudan and East part of D R Congo Visa is on arrival.No problem. pl keep yellow fever card..with you. Hey, thanks. Although I’m not sure about Madagascar and Antarctica. Technically, Hong Kong, Bhutan and Nepal you do not need a visa. For Hong Kong and Bhutan, they stamp your passport giving you 2 weeks without any visa requirements. For Nepal you can stay for as long as you like. For Macau it’s one month. And yes, Kenya and Tanzania do offer VOA. Yeap, I categorized under VOA because it just means you don’t need to do anything before hand. Same with Mauritius. Didn’t know about Tanzania, thanks for the update. Shivya! you’ve touched a raw nerve with this one. Its probably the only reason I’ve ever eyed my dad and sisters US passports with longing. Visa application and the incessant planning are total killjoys! Its shameful the way an Indian passport gets treated. I almost did Bhutan this June too but it got side tracked for ladakh! Useful list! I know what you mean. It’s the only I’ve ever considered applying for a Singaporean passport – visa-free access to 250 countries, including Schengen. Phew. Yeah, hopefully after this, these countries ease their process and proide VOA to us. What world do you live in? Reciprocity is not a prerequisite for mutual visa free access. Can you imagine how many Indians would illegally walk in to France and Germany? As it is, many Indians, especially the Haryanvi types, don’t even understand the concept of visa free access. They think they can walk in and settle down as they wish. Ever been to Thailand and seen the Indian lot that travels there? They will make you ashamed to be Indian. The Thais are such decent and gentle people and our Indians have managed to piss them off. It’s the decent minority like us who have to pay for the actions of the majority of our stupid countrymen. what do you mean by haryanvi?????????? Mahaveer, you’re right. They’ve thrust a stake through the heart of our reputation in a gentle place like Thailand. Its not difficult for the Thai skepticism towards Indians to go unnoticed after a while. Fortunately, it hasn’t reached Europe, at least in places like Germany, because of the more stringent visa regulations. The reason Malaysia revoked the VOA as I understand it is because of what someone pointed out above in that hordes of our countrymen invaded the country to their chagrin. I’m surprised some of these other countries still keep it open to us. I for one am not pro-actively spreading the word on the few countries that do offer us the facility. I am India passport holder, Can i need a visa for trinidad and tobago? Great post! I always tend to loose the list of these fabulous countries where you can just hop on a plane with little planning. – not continuing to any other city in Egypt. Great article. Anyone here travelled to Georgia and availed the VOA facility? Really want to make a trip to Georgia & Armenia.. Also, I availed the VOA at the airport in Almaty, Kazakhstan with a prior invitation from a local travel agency. It cost $90 at the airport, with the prior invitation costing $50. I travelled to Ethiopia in March 2012. I got a visa on arrival for 30 days at Addis Ababa airport. It costs US$20. Takes about 1 or 2 minutes to get the visa. That’s great to know, Shyam. Did you have a valid US / UK / Schengen visa already, or does that not matter? Having travelled to at least 45 countries, I find http://www.visaforindians.com an excellent resource. Very accurate and updated information. Thanks for the link, Shirish. I don’t know about the others but I heard that atleast Ecuador doesn’t offer VOA to Indians at the land crossings, without a prior US visa. Then again, any Indian traveler worth his/her salt will have an US visa…right! Thanks for the info though. Lol, I don’t have one. Hey, id like to say thanks for the links you provided. I have a couple of questions that i hope you could answer for me. I run into money problems sometimes while backpacking, since you are a seasoned backpacker can you recommend a good way to earn money while on your travels. Im assuming that you need a work visa but if you know of another way that has worked for you, can you please share. Also i currently hold a US student visa and am hoping to travel to Europe in the summer of 2013. Id love to get a shengen visa, and i just wanted to know if having a us visa helps as well as how difficult would it be to get a shengen visa with an indian passport. I traveled to Laos and Cambodia last year, crossing land borders from Thailand and Vietnam respectively. VoA is available for both countries and no questions asked. It’s possible to arrange a VoA for Vietnam online at http://www.myvietnamvisa.com if you’re flying to Hanoi or HcMC. Like you, I wish there were more Indian backpackers! In my 4 months in SE Asia, didn’t meet a single one despite the region being one of the easiest for us Indian passport holders. There are quite few countries where Indians can go without visa. Laos, Tanzania, Kenya, Ethiopia, Ecuador, Sri Lanka, Cambodia, Vietnam. Many more too. There is no permit required for Antarctica since you join a tour. Many of those, as per my research, require a US / UK / Schengen visa, or else require that you enter from the airport and not a land crossing. Can anyone let me know if VOA is available at Baku Azerbaijan. Maldives is another such destination. You just need to reach there, present your passport at the immigration counter and the officer stamps a 30 days visa free of charge. It is said that you should have a return ticket, hotel confirmation etc., but I wasnt asked a single question when I went there last August. Hassle-free and very quick process. I think there is a similar arrangement for Seychelles. Also, since I am a UAE resident, I can get VOA in Oman, Qatar, Bahrain and Kuwait. Are you sure about Jordan? I could not find the VoA provision written anywhere on their Embassy website. Even Fiji has VOA for Indians. Embassy of the Republic of El Salvador, Central America, New Delhi, may I know the website . and what are the options to work and Live in El salvador for Indians .I do not find website of embasssy neither in India nor El salvador. hey how r u all.sply shivya -I’m an inexperienced guy but keen willing to visit to antarctic n Hong Kong ,so is it true that the visa on arrival is available for Indians coz I’m also a born Indian. but tell me one more thing that to get a visa on arrival I just have to reach to that country’s embassy or consulate office with my passport and have to apply for visa on arrival right in the embassey???? n ya what’s the voa . hey can any 1 let me know deeply about the V O A and its full form n its procedures n terms. I think vo a is visa on arrival but from where I can apply that. do I’ve to go to that country’s embassey or have to fly off to that country n there in that country’s airport I’ll get to the vOa. I know surely that there’s no visa need for Nepal coz I lives in faizabad and my college is in shri ayodhya ji the holy pilgrim of lord ram n if u wish to move ayodhya g u have to fell down on faizabad station n from here its just 3 kms far. and many of my family members use to go to Nepal . Of those i’ve availed: HK is easily done; Taiwan needs a valid Schengen/US/OECD visa, which back then I fortunately had; Tanzania gives you VOA at airports and even on the border if you’re on the train (as I was from Zambia), Zanzibar included; Sri Lanka used to have VOA, but even now its not complicated. Friends have travelled to Mauritius (as you note) Indonesia–including direct flight to Bali–, Laos, Cambodia with VOA, as well as Uganda and Ethiopia, without hassles. Embassy of the Republic of El Salvador, Central America, New Delhi, may I know the website . and what are the options to work and Live in El salvador for Indians . I had personally gotten visa on arrival at Tanzania, Cambodia, Laos. Great to hear, Deepa. I should do a part 2 of this post soon! I have travelled and lived in Mexico for 1,5 months and no visa was required. Is that because you have a valid US visa? Pretty sure you don’t get VOA in Mexico! What kind of valid US visa ? I mean would any visa US visa be accepted or will it will need an H1 or L1 visa which are work visas for US ? Valid US tourist visas should do it. Kenya gives visa on arrival for $50 for indian passport. I got mine done in Jul 2012. Cambodia allows VOA for $20. Laos allows VOA for $40. Just in case you wish to add to your list. I learned from a Bengali Backpacking book that Tanzania offers Visa-on-arrival for Indians. My name is JP,holding Indian passport and I am working in Moscow , Russia, holding a work visa and work permit for the next one year ( till 15th June 2014) , from here what are the countries I can travel on a VOA system..? Hello, I am an Indian citizen passport holder .I did some stupid things so that I had not flown to USA on student visa F1. I have always thoughts to settle in Europe or USA , near USA any country so that later I would plan to go to USA .Now I am living in France since january and I have OFFI stamp now . Its is a student visa D category; and my visa expires in November 2013 ; please advise me Easiest Countries To Get A Work Visa in Europe or nearest countries USA ? or permanent residence with cheap Fee , because my financial position is weak at the moment . I have tried jobs to get settled here in France but lack of french its very difficult to find a job . I heard about Svalbard /El Salvador where visa is not required . I am Looking for europian / ameriacn countries where I can move easily to settle . I am 45 Indian and would like to job in above country. Kindly find the easy way and destination for same. Kenya has VoA – 30 days – 50 USD. I entered on Aug 8, 2013 and exited Aug 19, 2013. We are eligible to work over there on VoA visa and what about the compilation of 30 days. i got a job offer from Canada but the Indian Representative ask for visa processing and LMO charge C$ 580 to be Deposit in his Account is that okay..? and how can i get work permit/visa for Canada i have Indian Passport only..
that was appreciated” and what about student visa, for Mauritius .. I got a VOA in Guatemala and Honduras with a valid US tourist visa in 2010. I want to work visa in singapur. First u dont need even a passport to enter nepal. Any voters id or licence will do. Well, this was BEFORE kandahae hijacking. Secondly, add thailand, visa on arrival (NOT guaranteed) because i saw guys returning without getting one. Laos, visa on arrival across borders. I like to read about your blog and travel experiences. I am also a solo women traveller and have been to most places in Asia and Europe. This year in Nov I plan to visit Luang Prabang but I have no idea about how to get a visa for the same specially from Mumbai. Do you have any idea about this ? Is it possible online or upon arrival to get a visa for Indians? Any information would be welcomed. Thanks…..
Nice article Shivya. Never knew about antarctica before. I do not want to sound rude to my fellow Indians but I can say one thing for sure from my travelling/living outside India: Indian passport is a pain giving piece of crap. Have to live with it though. Just read in Singapore papers today that Indian Passport allows you to travel to 52 countries without the need to either get a visa at all or get one on arrival. Of course, Singapore passport allows you visa free travel to 167 countries! i am indian with indian passport can i work in england with indian passport?? Good article. Well done. You must try out Africa too. Botswana is a fabulous place but Visa is a big hassle. Previous PostRodrigues Island: A Glimpse of Paradise. Next PostMount Kinabalu: Turning 21 at The Peak.